Buy Online Now! 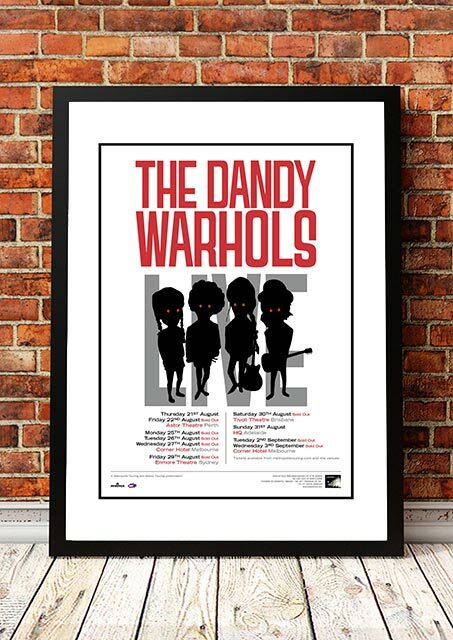 - Dandy Warhols Concert Posters and Memorabilia. The Dandy Warhols formed in 1994 and rose to new levels of fame after their song “Bohemian Like You” enjoyed extensive exposure thanks to its being featured in a Vodafone advertisement. 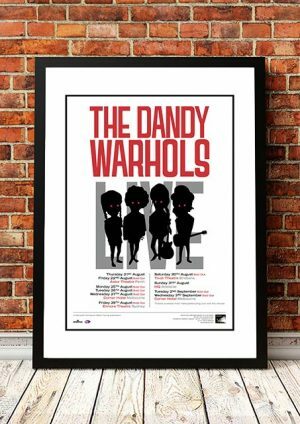 The Dandy Warhols have released ten studio albums to date with their name being a play on the name of American pop artist Andy Warhol. 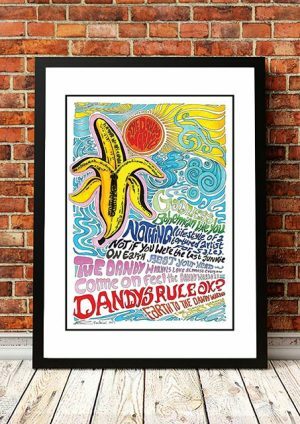 We stock an awesome Dandy Warhols Concert Poster from their Australian Tour in 2014.